This is a guest post written by Louise Hendon, who’s the creator of 3-2-1 Keto Meal Plans. She believes that living a healthy life is a journey and that eating a nutrient-dense keto diet is part of that journey. One of the top things that cause people to fail on keto? People get excited to start keto. They may even go online and buy a cookbook or two. But 3 weeks later they’re slouched on the couch munching on some ice cream, angry at themselves for quitting so soon. And they most likely failed because they didn’t have a plan. Specifically, they didn’t have a meal plan to keep them accountable. Meal planning on a keto diet not only makes your grocery shopping and cooking easier, but it ensures that you are staying in fat-burning ketosis to reach your keto goals. This article will lay out five easy and simple ways to create a meal plan on the keto diet. The goal of keto is to enter a metabolic state called ketosis (now you know why it’s called the “ketogenic” or “keto” diet). Ketosis is a fat-burning, metabolic state – it’s when your body starts burning more fat for fuel. Normally your body uses carbs or sugars for energy, but not when you’re in ketosis. Instead, your body relies on burning fat for energy. You get into ketosis by reducing your carb intake to less than 25g of net carbs per day. Your body is so used to using carbs/sugars as energy. So when you reduce your carb intake, your body has to find another way to get energy. As a result, your body adapts and uses fat for fuel. What am I allowed to eat on a ketogenic diet? Below are four simple tips that will help you reach your keto goals with a delicious meal plan. I don’t eat breakfast. I might have some keto coffee (coffee with coconut oil or ghee added), but that’s it. And I do this to make my life easier in the morning! But I know there are folks out there that love eating breakfast. If you love breakfast, then I recommend that you never cook breakfast in the morning. Make your breakfast (for the whole week if you can) in advance. And then all you’ll need to do is warm it up in the morning. For more ideas, check out this list of Keto breakfast recipes. There’s one exception that allows you to make breakfast each morning. Making fat-burning smoothies are really quick and easy in the morning. If you have all the ingredients ready, it’ll take in between 5-10 minutes to make AND clean up. And smoothies are super easy to bring on the road with you! The problem is most smoothies are made with sugary and high-carb fruits. Opt for a green smoothies instead with keto-friendly protein powder, gut-boosting prebiotics, and MCT oil for healthy fats. Most people don’t want to spend hours making complex (and often expensive) recipes. So instead, you can use a simple formula to prepare easy, delicious, and quick meals. You choose 1) a type of meat, 2) a type of vegetable, and 3) a type of sauce. After adding one item from each of the three categories above, you’ll have an easy and delicious meal. Make sure you some of these ingredients stocked in your fridge, freezer, and pantry. That way, even if you’re rushed, you’ll always be able to put together a meal! Not having to clean up a million different pots and pans after cooking. Leftovers that last for days! And with one pot recipes, you can get both of these things. Not sure what a “one pot meal is”? One pot meals are where everything that goes into the meal (meat, veggies, sauce/broth, seasonings, etc) is cooked in one pot. That can be a literal pot on the stovetop, a pressure cooker, or a crockpot. Then what I like to do is double (or potentially triple) the recipe. That way I have lunch/dinner for the next four or five days already planned out! The keto diet gets hard when you’re hungry while running around town, traveling, or craving something sweet. Make sure you’re stocked with keto snacks. Keep some snacks in your pantry/fridge at home and work. Have a couple snack options in your backpack/purse. If it’s not too hot out, have a stash in your car. And if you’re traveling, always pack AS MANY keto snacks as possible, since you never know what your food situation will look like when you get to your destination. 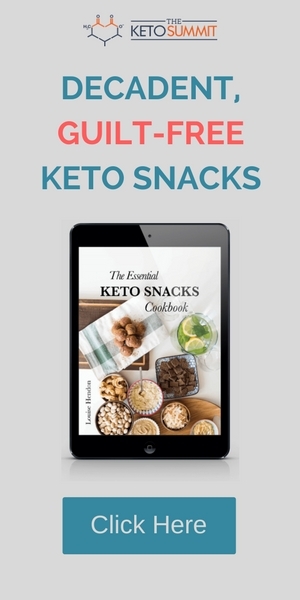 And if you want more Keto snack recipes, check out my new Essential Keto Snacks cookbook here. There were many things I wish I knew about when I started a keto diet. But now that I know them, I’m so glad I can share them with people like you. I’ve listed the three most important things to focus on when you start your keto diet. 1 – Throw away or donate all non-keto foods and then go shopping to stock up on keto-friendly foods instead. One of the worst things you can do is constantly tempt yourself at home when you open the fridge or pantry and see a ton of non-keto foods. Folks who take this step are much more likely to be successful. 2 – Don’t worry about protein and fat macros. When you’re just starting, I recommend only focusing on making sure you eat less than 25g of net carbs per day. If you immediately start out trying to calculate protein and fat macros as well, you’ll most likely stress yourself out. Getting used to eating a keto diet is hard enough, so make your life simple by just focusing on limiting your net carbs. After the first week or two you can go back and strategically calculate all your macros. 3 – Don’t start keto during a busy or stressful time. When folks start a keto diet, they often experience the keto flu. And it feels just like it sounds… You’ll potentially feel flu-like symptoms like nausea, irritability, tiredness, or stomach pains. So during this time it’s important that you get enough rest and drink lots of fluids. If anyone ever said the keto diet was easy, then they were lying. I can admit that the keto diet is NOT easy. Fortunately, there are things that you can do to make your keto journey a little easier, though. Like sticking to a meal plan. 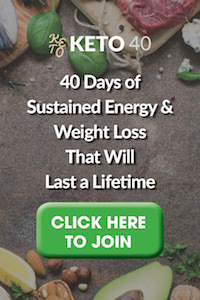 And by using the meal-planning tips that I shared in this article, you’ll be able to experience all the wonderful things that the keto diet has to offer, such as increased energy levels, weight loss, and better focus. Again, the keto diet is not easy. What a great guest post, thank you to Louise for writing it for my blog.